The Nixie Tube Driver from Doayee is a convenient and easy way to implement a 6-digit Nixie Tube display into any project of yours. It supports IN12A/B and IN15A/B tubes, allowing for use with decimal points and symbols, allowing for a huge breadth of applications. Subscribe to find out the latest from Doayee, the projects we have in the pipeline, and be the first to know when a product is launched. You'll also be notified of any special offers before anybody else. Doayee is a bespoke electronic project store and hobbyist blog, formed originally in 2012 by Tom Cousins, to document his experiences in the field. 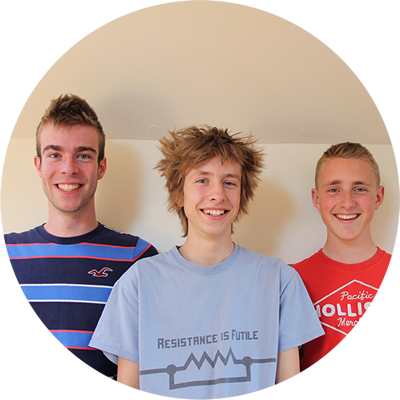 The team - Tom Cousins, Jacob Rawson & Tom McQueen - were brought together by a shared passion for electronics and an entrepreneurial drive. The trio launched the BAL project on Kickstarter in 2015 to huge success, raising over £1,800 to bring the product to life for 50 backers. Since then, the Doayee blog has been transformed into a full-blown electronics store. If you want to get in touch about any of our products, or to suggest an idea for something you want us to make, head here.